My mom recently bought a house and her closing date was on her birthday, so it only seemed fitting that I get her a housewarming gift /birthday present. I remembered that I had a blank cross stitch canvas already on a frame so I decided to design a little something myself. I knew I wanted it to say ‘Bless this Mess’ and I went from there. I put a bunch of found patterns together and this is the end result. Pretty fancy, huh? And I MADE IT WITH LOVE. If you’re into cross stitch, you can download the free pattern below. This is the perfect sentiment for anyone’s home and/or life, because we’re all a mess one way or another. And that’s okay, because we’re enough. 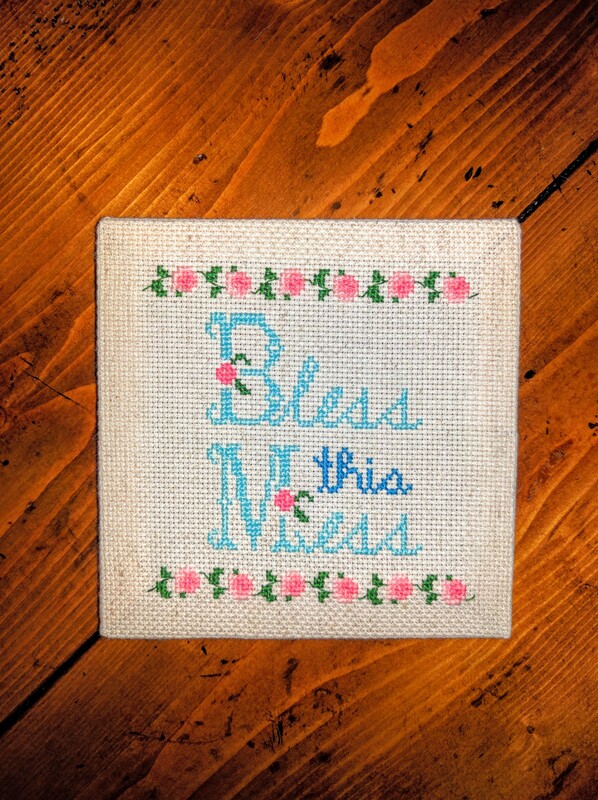 Download the free Bless this Mess Cross Stitch Pattern here!